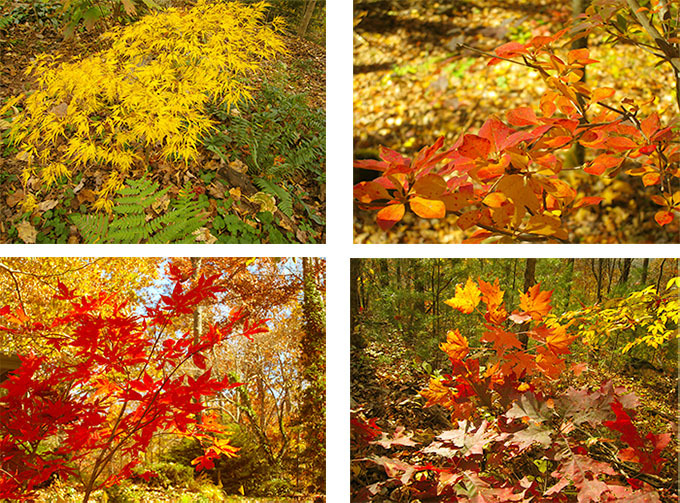 Autumn here in the Blue Ridge Mountains is a very special time. As I write this, nature is celebrating the end of summer with a bang – an explosion of colors – however brief. The riot of scarlet, pumpkin, orange, gold, bright yellow, chartreuse, deep red, bright green, dark green, blue green, and the clear true blue of the Autumn sky is truly memorable. Seeing these bright colors in my garden against the dark green of Arborvitae, Yews, Hollies, Magnolias and the blue green of Pines, makes me want to jump with joy, wishing it would last forever. My way to memorialize this fleeting moment? Design a collection of color related patterns for pillows, rugs, runners and coverlets for the cross-point kit collection. 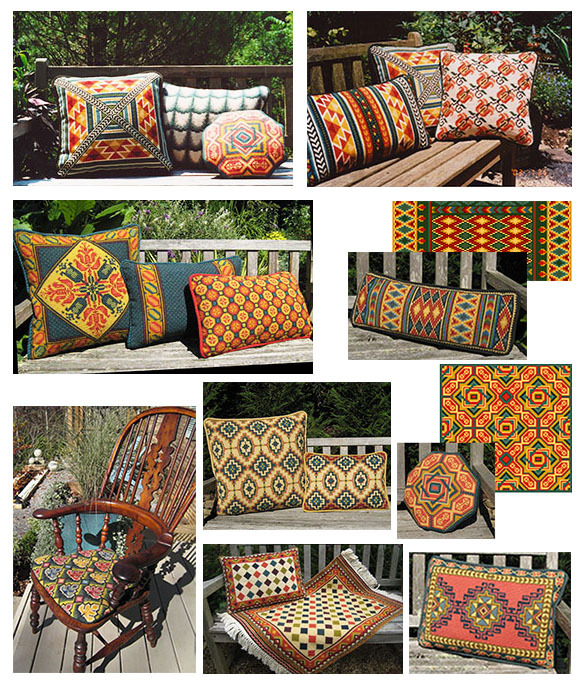 To create a room full of color and design related patterns in Autumn’s glorious colors that will cheer you up all the gray months ahead, herewith my choices of bright color patterns to stitch for pillows, rugs and runners. 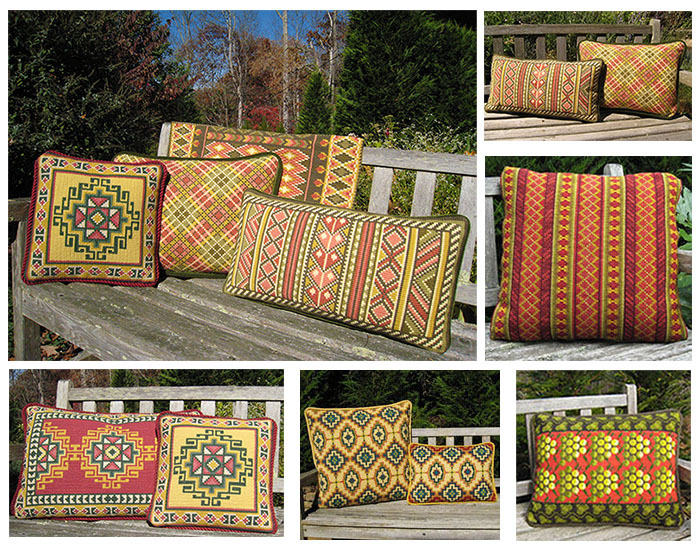 Pillows are available in a variety of sizes ranging from 11″ to 27″, and rugs, runners and coverlets from 23″ to 45″. Please visit the cross-point website to see all available sizes and to the custom services page where I explain in detail my unique offer for customizing my patterns to match your own fabrics and rugs. Grape with Leaf Border color 04. Pillow shown, now also a NEW TABLE RUNNER size.